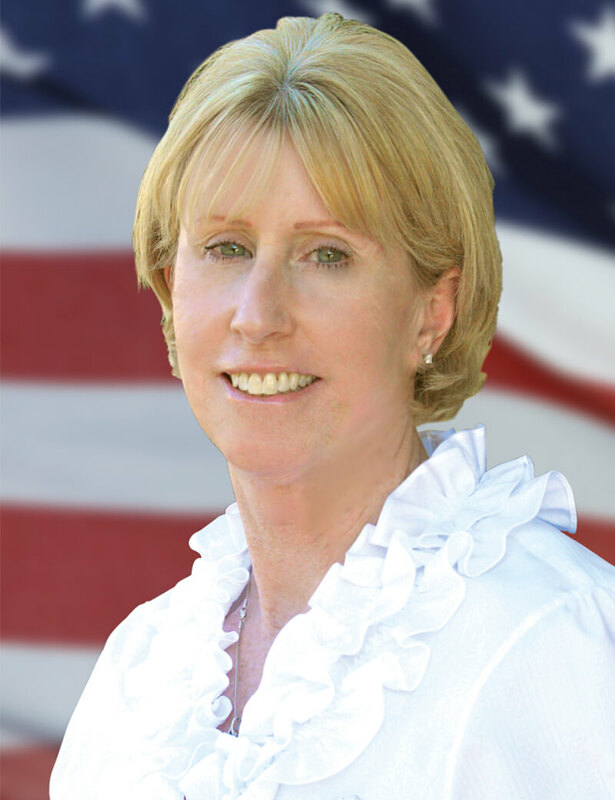 Will New Department Leadership Help LASD Security Personnel Succeed? Change can be difficult but it can also open new doors. With that in mind, I look forward to working with Sheriff Villanueva on behalf of security officers and security assistants. We need the Department to do a better job of supporting and acknowledging both classifications as job responsibilities continue to expand. Will new leadership bring new ideas to the table to help LASD security personnel succeed, grow and (gulp) promote up the Department career ladder? The Department is severely short-handed and cannot recruit enough quality individuals. The Department has quality SOs and SAs in backgrounds who are being overlooked and (dare I say) taken advantage of. Common sense would dictate that the resolution for problem #1 can also help alleviate problem #2. But, for whatever reason, our experienced, dedicated security personnel are not given the same opportunity as completely inexperienced off-the-streeters. That’s one of the key reasons why PPOA established its own recruitment and retention task force. I just hope the new Sheriff and his executives are open-minded and receptive to working with PPOA members to help resolve the recruitment crisis. We’re all in this together. You might recognize your former co-workers in the photos on this page. 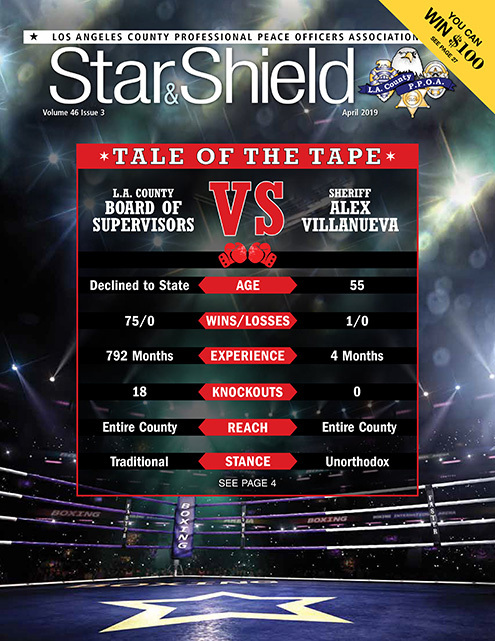 Victor Figueroa and Marco Moran were security officers and committed LASD family members for years. 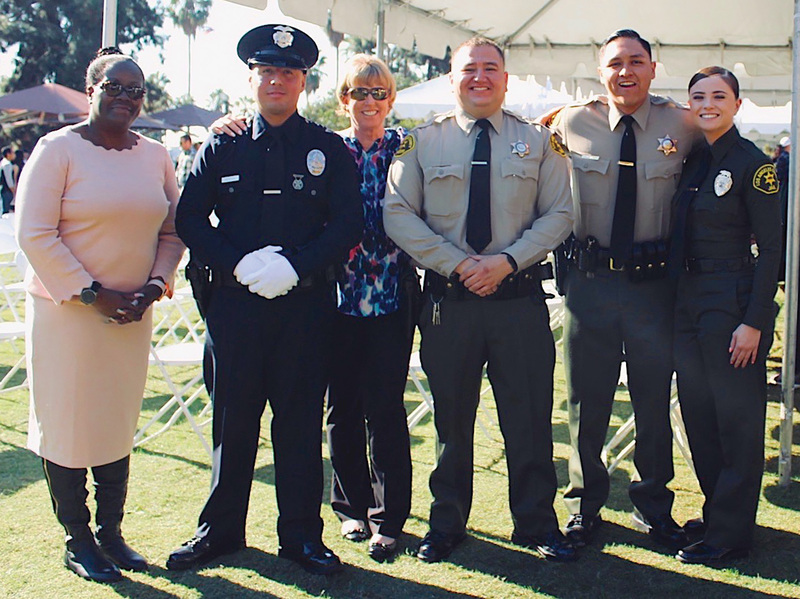 They also shared the same goal: become a Los Angeles County deputy sheriff. Unfortunately, the commitment was not mutual and the Department declined to process them for DST. 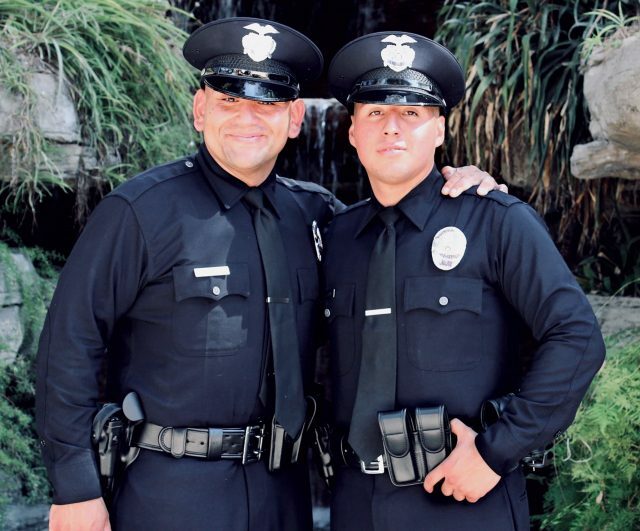 Figueroa and Moran are now proud LAPD officers. I think we all share the same sentiment here: a win for our two brothers and LAPD but an embarrassing loss for the Sheriff’s Department. Unfortunately, many others before Figueroa and Moran have found themselves in this position. Hopefully, many more won’t be overlooked in the future. The waste of personnel, money, training and effort needs to end with the new administration. Hopefully, security officers and security assistants will see our initial pay increases and shift differential this month. Please keep in mind the first increase will be more sizable than usual, with retroactivity back to October 1, 2018.